The King of Fighters vs. Mortal Kombat? This Artist thought…Why Not? 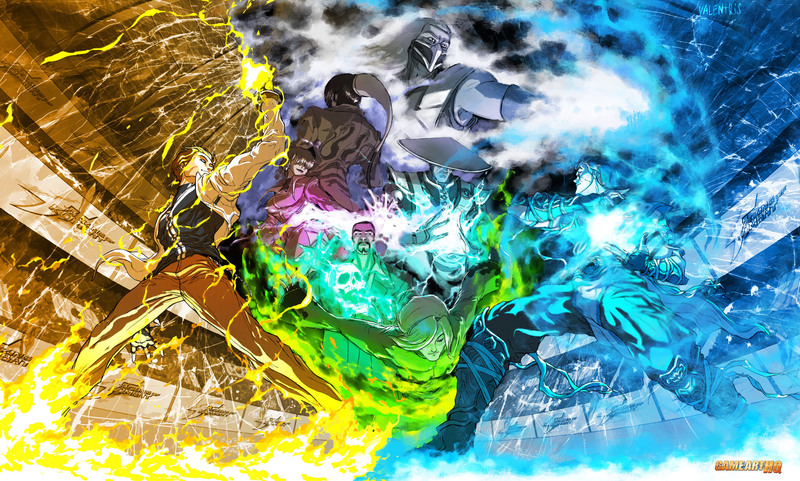 “This is what I imaging thinking about how SNK’s crossover game could look, and as you can see I more prefer colorful and light style of KoF XIII than pretty grim and moderate look of SvC:Chaos. We had Capcom vs. SNK, X-Men vs. Street Fighter, SF X Tekken, Mortal Kombat vs. DC Comic Characters, but never a crossover fighting game between companies from Asia and the USA..and since MK vs. SF won’t happen anyway, let’s think about another weird constellation. Kyo Kusanagi vs Johnny Cage? 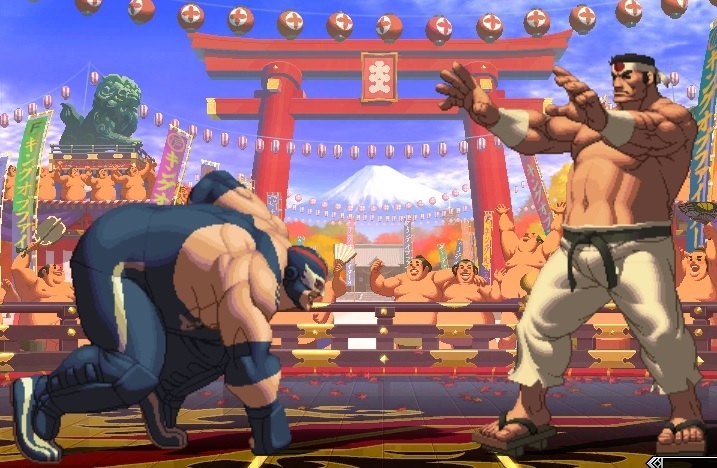 Raiden vs. Goro with the Thundergod fighting against the bulky Japanese Judo Expert? ValentrisRock created a couple of really unusual crossover artworks a while ago with this one getting my attention totally. Loving the idea!